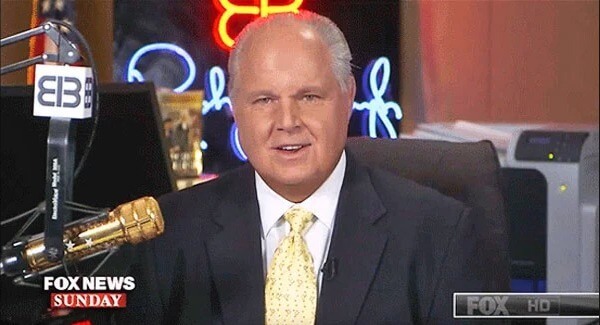 Rush Limbaugh Praises White House Press Secretary for Putting CNN Hack ‘in His Place’! Recently, CNN’s resident NeverTrumper, Jim Acosta, walked out on a White House press briefing because press secretary Sarah Huckabee Sanders refused to say something that he wanted her to say. SANDERS: It’s ironic, Jim, that not only you and the media attack the president for his rhetoric when they frequently lower the level of conversation in this country. Repeatedly, repeatedly the media resorts to personal attacks without any content other than to insight anger. The media has attacked me personally on a number of occasions, including your own network, said I should be harassed as a life sentence. That I should be choked. ICE officials are not welcomed in their place of worship and personal information is shared on the Internet. When I was hosted by the Correspondents Association, of which almost all of you are members of, you brought a comedian up to attack my appearance and called me a traitor to my own gender. In fact, as far as I know, I’m the first press secretary in the history of the United States that’s required Secret Service protection. The media continues to ratchet up the verbal assaults against the president and everyone in this administration, and certainly we have a role to play. But the media has a role to play for the discourse in this country as well. RUSH: Amen! This woman is great. She is fearless. She’s unintimidatable, if that’s a word. They can’t scare her and she fires back at them in ways they can’t refute, other than to get snarky and snooty. How about poor Jim (imitating Acosta), “You gotta say right now, you gotta say we’re not the enemy of the people, we’re not the enemy. You owe us that.” He starts crying practically. And then she lowers the boom on the guy on what a bunch of fake children they are that can’t take it while they dish it out to everybody.